Summer Special: Use coupon MED12 during checkout for 12% off this product. Unsurpassed Quality You Will Not Find Elsewhere. 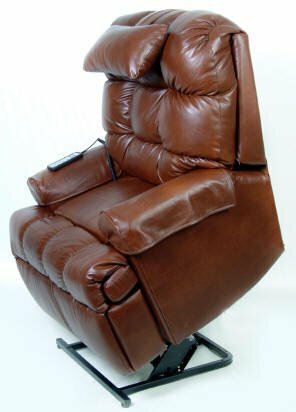 Buttery soft, top grain, full leather completely covers the seats, entire backs, legs, sides, pockets, and pillows of our Luxury Leather Lift Chair Recliners. This special comes standard with the Memory Foam Seat, Leather Right Side Pocket, 100% Top Grain Cowhide Leather. 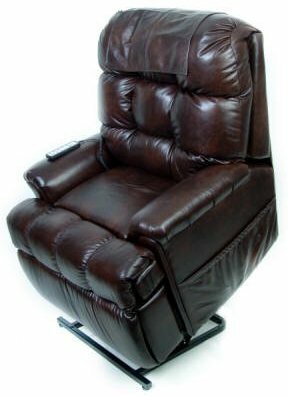 Treat yourself to this luxury lift chair recliner for the ultimate in style and comfort. The 5500 Wall Away Lift Chair with our Full Leather. This chair offers outstanding comfort along with many unique features at a great value. The 5500 Petite and Standard Lift chairs are also available in a full sleeper / flat recline (Model 5555). When choosing this option, please note that the wall-away recline feature is NOT available.